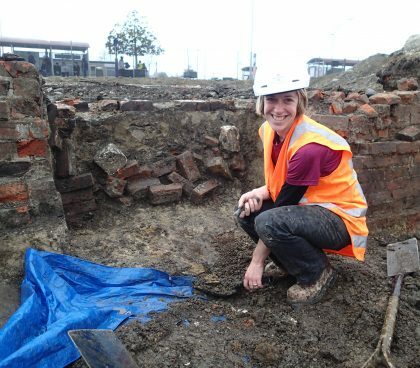 Katharine Watson studied archaeology at the University of Otago before embarking on a career as a consultant archaeologist in Christchurch, where she worked extensively on historical sites in Canterbury and the West Coast. 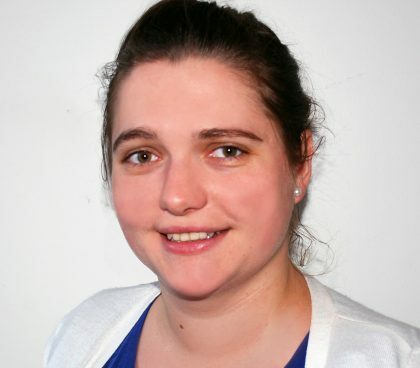 She has recently sold her consultancy to start her PhD, looking at 19th century domestic architecture in Christchurch, in relation to the development of the city. 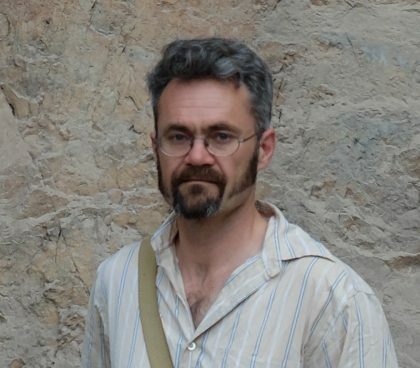 Peter Petchey is a Dunedin based archaeologist who specialises in historical and industrial archaeology. His MA and Phd research focussed on aspects of industrial archaeology in the New Zealand goldfields. A particular interest is the archaeology of very early electrical power generation in New Zealand. Peter is also involved in several research projects in Thailand and Myanmar. He is the current editor of Archaeology in New Zealand. Brooke came to Dunedin in 1996 from Australia to study at Otago University, where she completed a BA (Hons 1st class) and an MA (Distinction) in Anthropology. 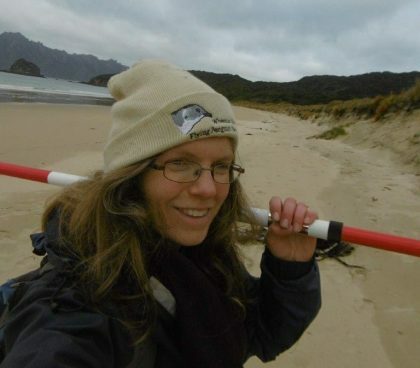 She has participated in field and laboratory work, research and teaching around the South Island through university, consultant and Ngai Tahu projects, involving both pre-contact and historic periods, and has also assisted Pacific based archaeological work. 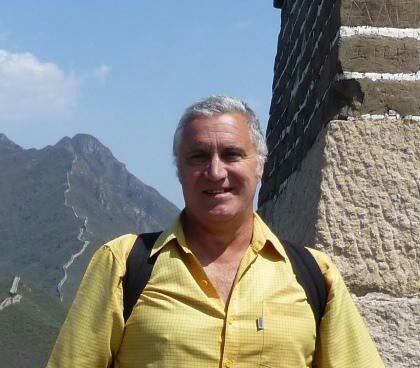 Rick currently works for DOC as Executive Officer for the New Zealand Conservation Authority, but has had a long involvement with archaeology and NZAA. After graduating from Otago with his PhD, Rick worked as a consultant for a couple of years, before moving to Rotorua as Conservancy Archaeologist in the Bay of Plenty for DOC. He then moved to Wellington in 1999 and spent the next 13 years as Senior Archaeologist for NZ Historic Places Trust. Rick has had two stints on NZAA Council – the first from 1985 – 2005 (in a variety of roles), before returning in 2009 to the present as Treasurer. Kirsty Potts is a Waikato based archaeologist who trained at the University of Otago. She has worked as a consultant archaeologist in Australia and New Zealand. Kirsty is currently working for Opus International Consultants in Hamilton where she enjoys working on both Māori and historic archaeological sites. Sheelagh Conran is originally from Ireland and began her journey in archaeology at the University of Glasgow, and then completed her Masters at the University of Ulster. 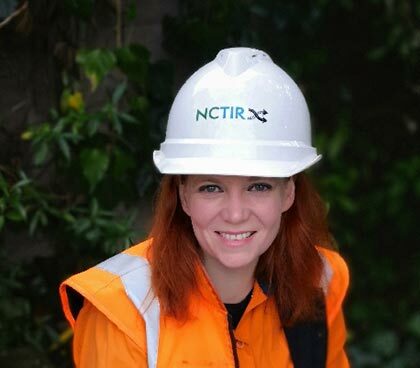 She has worked as a consultant archaeologist in Ireland, the UK, and Australia and has been working in New Zealand as a consultant with WSP Opus for just over 2.5 years, and is based in Christchurch. The majority of the work she undertakes here is earthquake related. Before she arrived in New Zealand she lived in Western Australia for 5 years where she was the Cultural Heritage Manager for an indigenous group in the Pilbara, Kuruma Marthundunera (K&M) where she set up and ran their cultural heritage business. Tristan Wadsworth is a New Zealand archaeologist trained at the University of Otago. 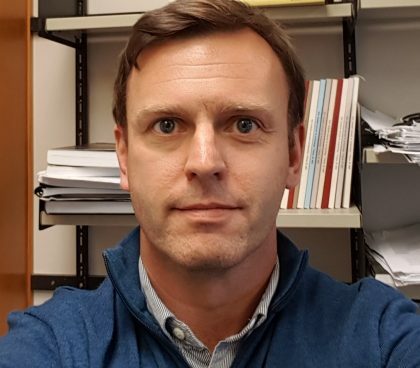 He has worked in both Australia and New Zealand, and is currently working in Christchurch for Underground Overground Archaeology Ltd. His interests include the archaeology of landscape, indigenous archaeology and lithic studies. He spends much of his spare time walking around, looking around. 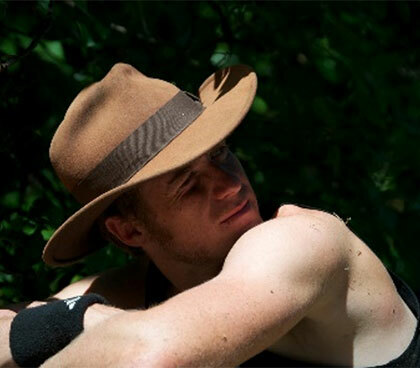 Alex Jorgensen is an Auckland based archaeologist currently completing his PhD at the University of Auckland. A former lawyer, Alex has spent the last 10 years involved in archaeological research and field work around the northern North Island, with the occasional bit of contract archaeology thrown in for good measure. Alex’s research interests include pre-European Māori archaeology, lithics and landscape archaeology, and he has been participating in the University of Auckland’s Great Mercury Island/Ahuahu Archaeological Research Project since its inception in 2012. In 2013 NZAA Council developed and adopted a Strategic Plan – the first for the organisation. The Plan is reviewed and updated regularly and guides the current and future direction of the Association. The NZAA logo was adopted at the 2015 AGM in Paihia. The central element is a koru, a Maori symbol that now features prominently in expressions of New Zealand identity, having become part of the nation’s visual vocabulary. The coloured elements are in earth tones and can clearly be read as stratigraphic layers with the koru as an artefact [of knowledge] to be uncovered. The koru is often used to symbolise creation or growth; in archaeology, bringing the past into the present. The logo is a registered trademark of NZAA and can only be used with the permission of Council. The following positions are appointed by the Council to help manage the various interests of the Association. If you are interested in being elected for Council or considered for any of the above positions, then don’t hesitate to contact us. The NZAA runs on its volunteer membership and without their support we cannot continue to advocate for our membership and New Zealand archaeology.